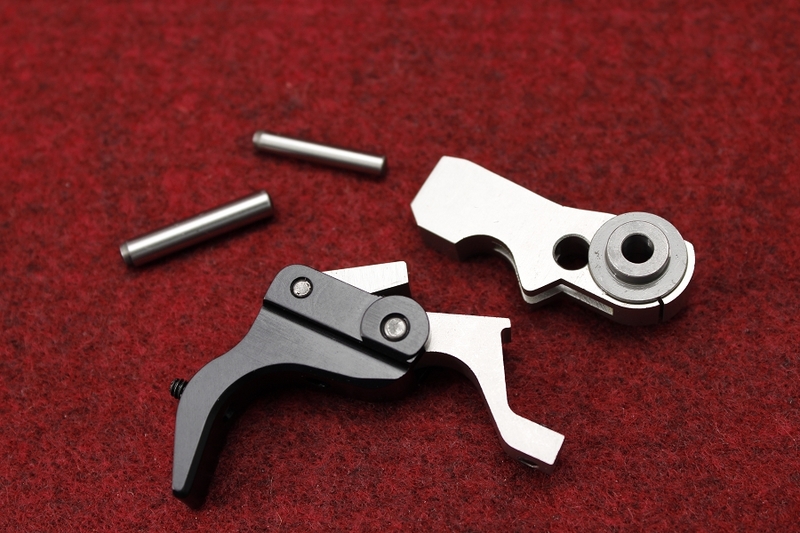 Upgrade your polymer factory 10/22® trigger break with our "trigger job" kit. This kit will replace your weighty factory trigger break with a clean crisp break. This kit replaces your internal hammer, sear, disconnect, and trigger blade with precision aftermarket parts. KIDD has taken some of the work out of this installation by creating two sub-assemblies. The first sub-assembly is the mated hammer bushings and fitting a hammer pin. The second is the sear, disconnect, and trigger blade. We have fine-tuned these sub-assemblies to both assist the customer with installation and assure proper settings. When using our kit you must not mix and match our pieces with other aftermarket or OEM hammers, sears, disconnects, or trigger blades in order to achieve the ultimate potential of this kit. 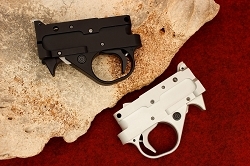 This entire kit will drop into your factory polymer/plastic trigger guard well within 20 minutes from start to finish and the normal trigger breaking weight achieved is just under 2 pounds. Originally, we developed this trigger kit with the idea that customers would only want to reduce and refine the factory trigger break. But after a while, we found that we were not meeting our customer's needs that preferred a heavier but still clean breaking trigger in their factory polymer guards. So we developed a KIDD Pull Weight Tuning Spring Kit which can be purchased in addition to this Trigger Job Kit to adjust the pull weight. 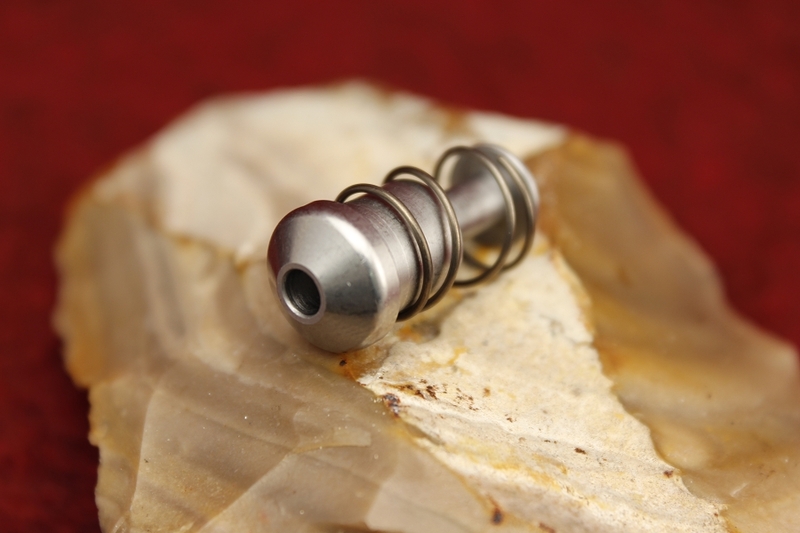 Excellent product, outstanding machining, lightning fast shipping. I watched the "how to" install video and had my Ruger Takedown apart and put back together in 30mins. There is a night and day difference, light clean crisp trigger. Money well spent. Thanks Tony for the great product. Purchased one of these almost two years ago and installed in my Takedown about a year ago.... it had been sitting in my safe since. Took it to the range last week and shot it for the first time. It was night and day. By far the best 10/22 trigger group I have. So good I just spent almost $600 on parts to outfit another one of my rifles and do two for family members that shot this one at the range that day. Looks like every 10/22 I work on from here out will be getting KIDD parts as opposed to others. Do it dont think twice! WOW!cleanest trigger I have ever felt. I did spring tune kit and used white spring I did not have to adjust anything trigger is light and still feels very safe thank you kidd for breathing life into my 10/22 I just placed order for everything else and cant wait!!!!! IN STAINLESS ??? Maybe...YES ! ! ! 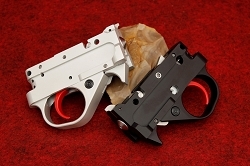 The copy for this item talks only of installation into the polymer factory trigger guard assembly. But I didn't want to give up my beautiful high polished stainless trigger guard! Called KIDD and was told that the specs on metal receivers vary enough that the trigger kit won't work in all of them. Estimated to work about 70% of the time. WooHoo! It works in mine and now I have a crisp trigger a bit under two pounds with not a bit of take-up. Thank You KIDD! A great way to improve your 10/22 trigger without breaking the bank. Go ahead and add the bolt release while you're at it. You won't regret it at all.